When husband-wife builders John Plevich and Kim Foy set out to build one of central Florida’s most sturdy and energy efficient homes, they were determined not to solve one issue by creating another. As a result healthy indoor air quality plays as important a role in Vision House 2011 as energy efficiency. “Because we were building such a tight building envelope, we had to make sure we kept good control of the indoor air quality,” Foy, co-owner of Southern Traditions Developers, says of the Green Builder magazine-sponsored demonstration home in Orlando’s College Park neighborhood. The 2,500 square foot main house plus 500-square-foot guest suite over the garage were built to meet guidelines of the “Blueprint for Safety: A Stronger Shade of Green” program administered through the Federal Alliance for Safe Homes. The program promotes building homes that not only meet traditional green building guidelines and are strong enough to withstand hurricanes and other forces of nature. As a result, insulated concrete forms provide a secure shell for Vision House that also forms a thick, energy efficient thermal blanket that limits interior temperature swings. Although Southern Traditions rarely had installed central vacuum systems in previous custom home projects, Foy says this case was different. The BEAM Serenity QS Central Vacuum System that was installed in the Vision House delivers 600 air watts of quiet cleaning power to remove all contacted dust and allergens from interior surfaces. “With this house, we were excited to try it. In order to keep the dust down and everything, it was recommended to us that a central vacuum is a good way to increase the indoor air quality,” she adds. “So we did it and we actually love it. Since Vision House opened to the public, Foy and Plevich have sold several additional homes, all with central vacuum systems. Adding further to the home’s appeal is its price. 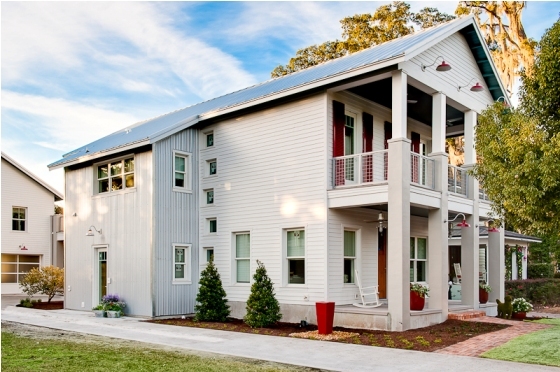 Foy says home dispels a widely accepted myth that green building is costly. The Vision House was built for less than $150 per square foot. This week marks the beginning of the Cherry Blossom festival in Washington, D.C. And although much of the nation is enduring the final gasps of the winter season, the blossoms are an early warning sign that allergy season will soon be here. While most of the media attention focuses on "outdoor" allergens, the allergens indoors pose the greater problem. The dust mite shown here is a major cause of allergy misery. 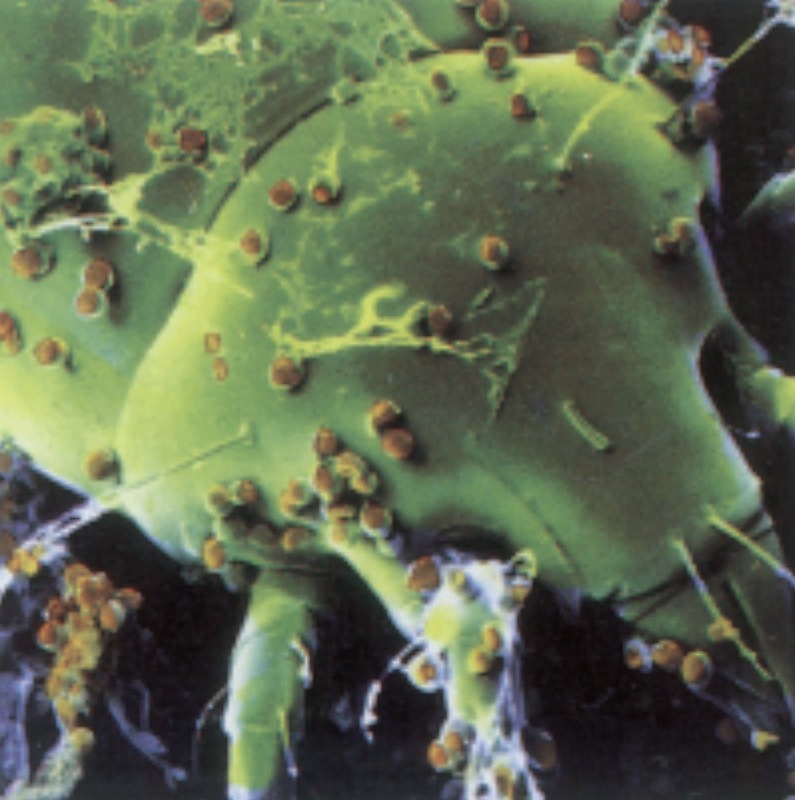 Dust mite allergies worsen as the humidity increases in spring and summer. Add to that the outdoor pollen that gets into the house when the windows fly open in the spring. The result for many allergy sufferers is a long season of sneezing, watery eyes, sleepless nights ands a host of other problems. Your BEAM Central Vacuum System is a valuable took to battle indoor allergies because it captures more dust than a conventional vacuum without stirring up dust and allergens in the living area. In fact it's been clinically proven to relieve allergy symptoms by up to 61 percent. Angie Hicks is one of the country's top consumer advocates. So she knows a good thing when she sees it. Hicks is Indiana woman who created Angie's List, the online service where you can check on any number of products and service providers to see how their customers rate their services or products. Recently, she was interviewed by a television station and talked about how a central vacuum is a nice alternative for consumers who want an easier way to clean their homes. The television story also featured the BEAM Q PowerTeam and an interview segment with BEAM dealer Ryan English of Vacuums and More in suburban Indianapolis. Tim Carter is one of the country's top experts on building and remodeling homes. He's a former builder who now shares his expertise with homeowners throughout the country in a syndicated column, he writes for more than 200 newspapers. Click on "Ask the Builder" and see the column he recently published that explains how a central vacuum system can be installed in virtually any home -- new or existing. It's very informative, especially for those of you who never considered a central vacuum for your existing home. ﻿﻿﻿﻿﻿﻿Gary and Val Bock of Moorhead, Minn., are the proud owners of a BEAM Serenity QS Central Vacuum System and BEAM Q PowerTeam, thanks to Valley Central Vacuum of Fargo, N.D.
﻿﻿﻿﻿﻿﻿﻿﻿﻿﻿﻿The dealership celebrated its first year in business with a special promotion that included a drawing for a complete system and installation. The winning entry also demonstrated how easily a central vacuum system can be installed in an existing home. Valley Central Vacuum owner David Ruzicka says the entire installation in the Bocks’ 40-year-old home took less than a day and required no removal of interior walls.